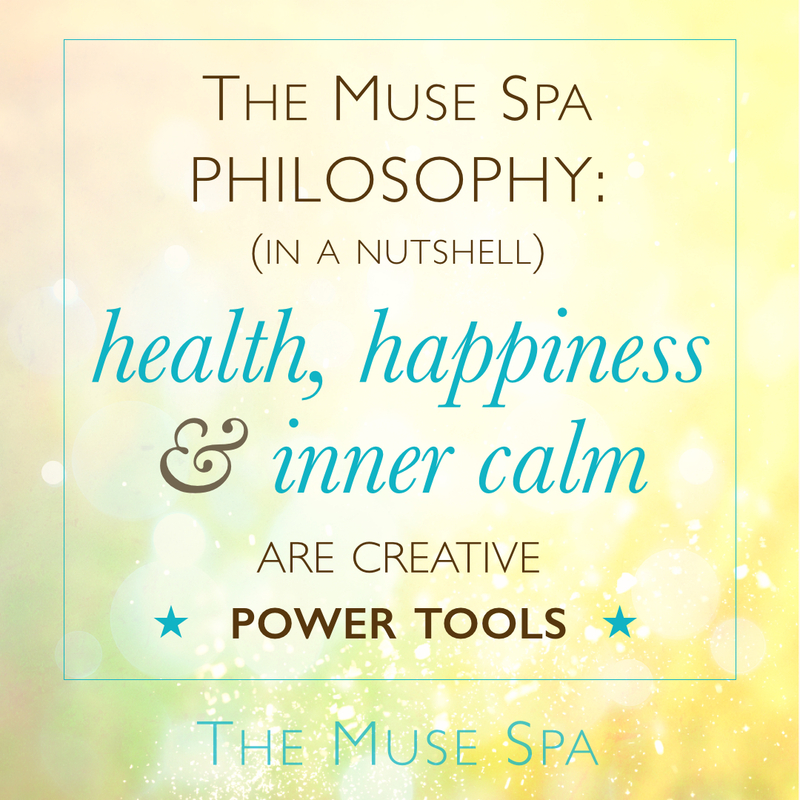 FROM THE MUSE SPA ONLINE COURSE. 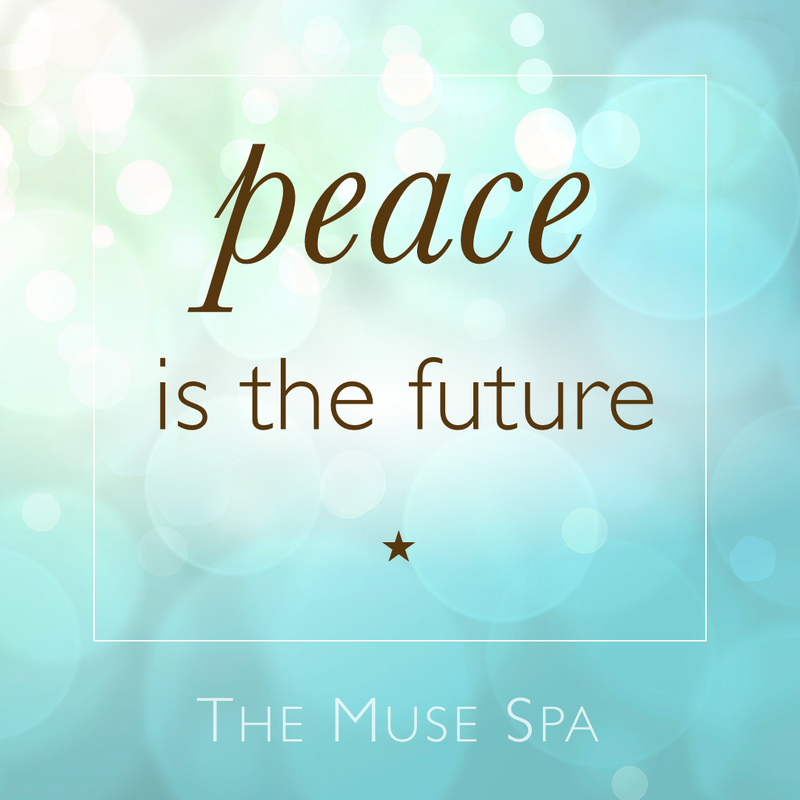 Feel free to print, pin or share any of these samples from The Muse Spa material. 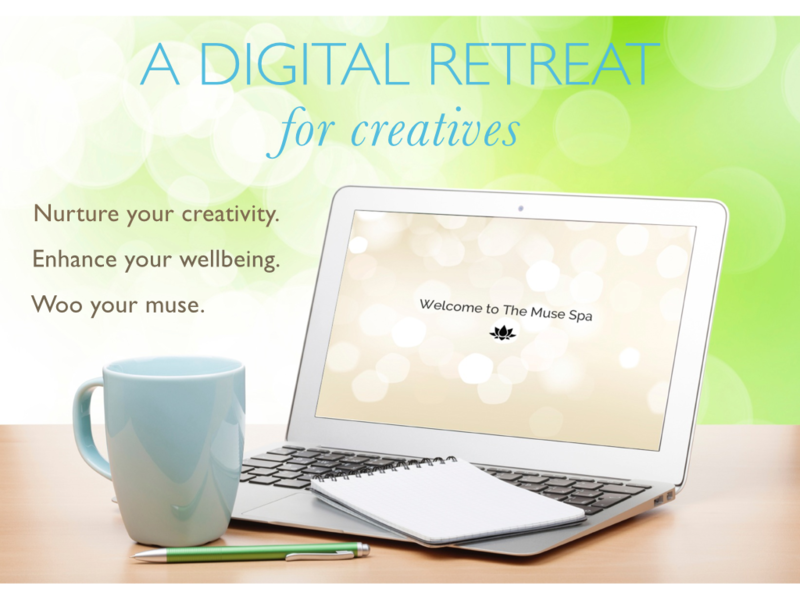 So now anyone can explore the magic and enjoy the wonderful side-effects of tending your creative spirit. & even reduced sugar cravings! You also get beautiful workbooks and small-but-mighty Daily Prompts… ?☺️? 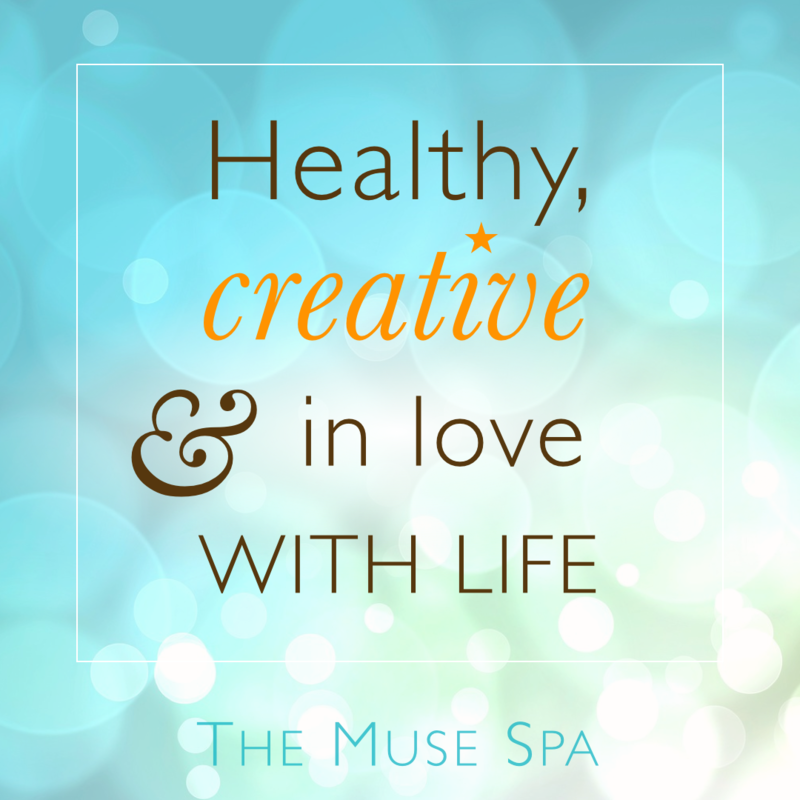 For more details of how wellness can be a powerful creative tool, click here to find out more. Would you like more health, happiness & inner calm? express our unique and beautiful creative spirit. ? Health, happiness & inner calm make you EVEN MORE CREATIVE! It’s a happy upward spiral of expression and joy that leads to that heavenly place known as The Good Life. 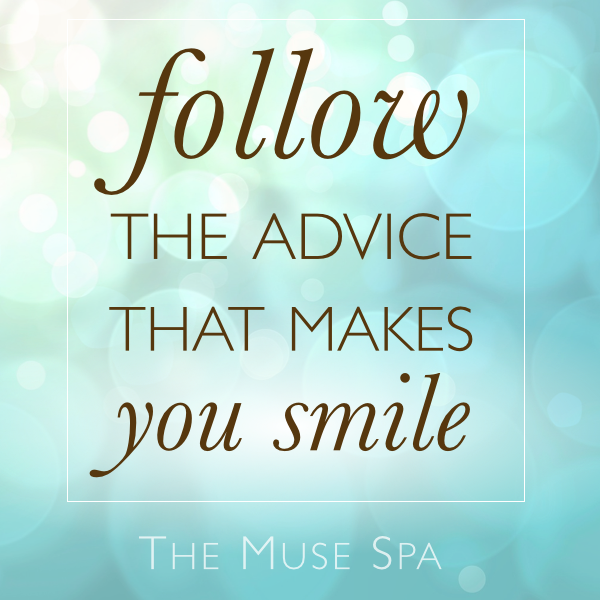 This is my recipe for living well + it’s the core philosophy behind The Muse Spa. Because the creative process is more about the journey than the end result, it’s about the people we become as we create. 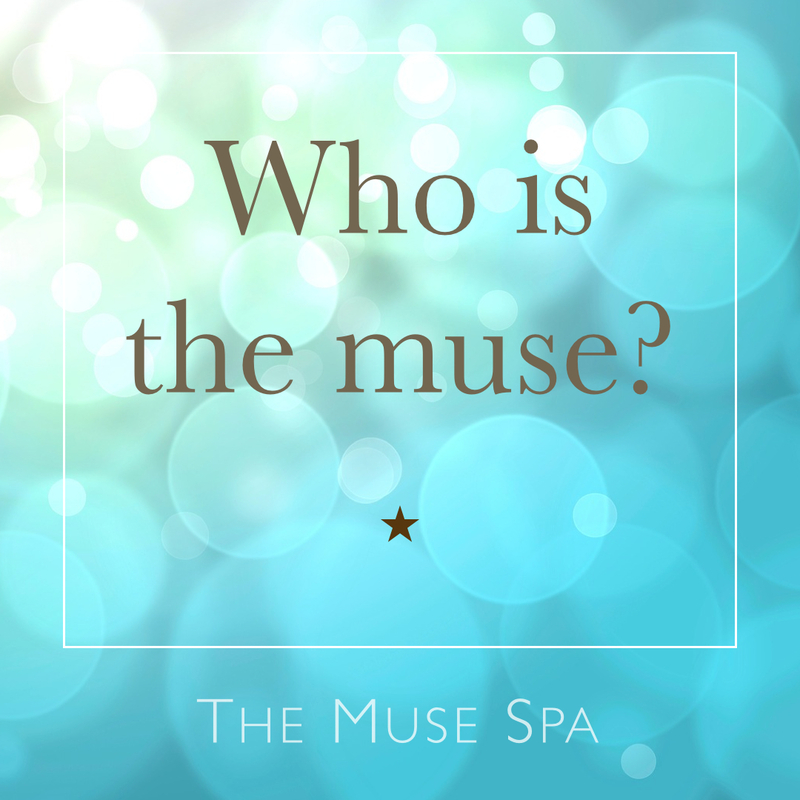 But who is the muse?! 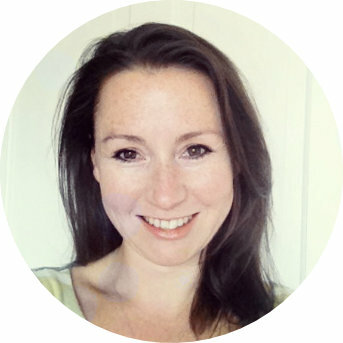 Who is that elusive minx that can make such a powerful difference to our creative process? 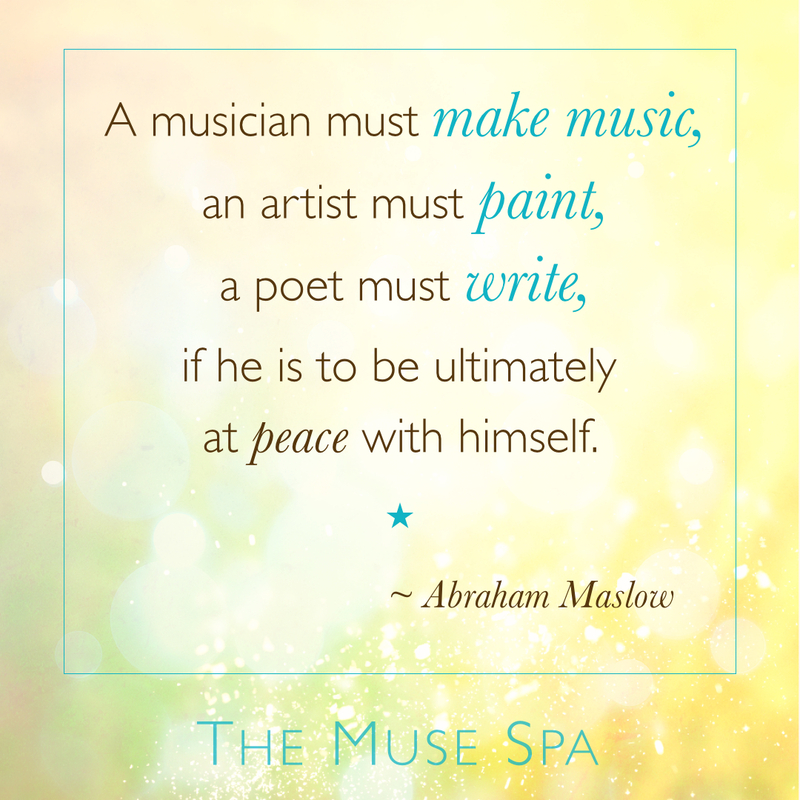 The Muse Spa evolved from my studies of that infamous source of creativity & inspiration: the muse. And I’ve written all about my findings here. Guess where I had this inspired idea this morning! 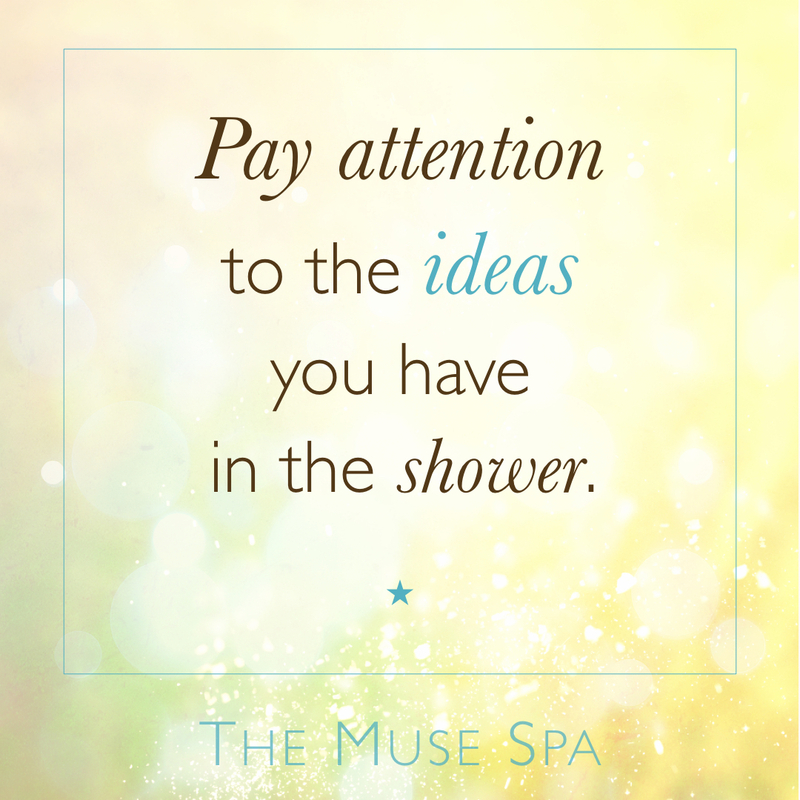 So many of my best ideas come to me in the shower or during a lovely candle-lit bath. 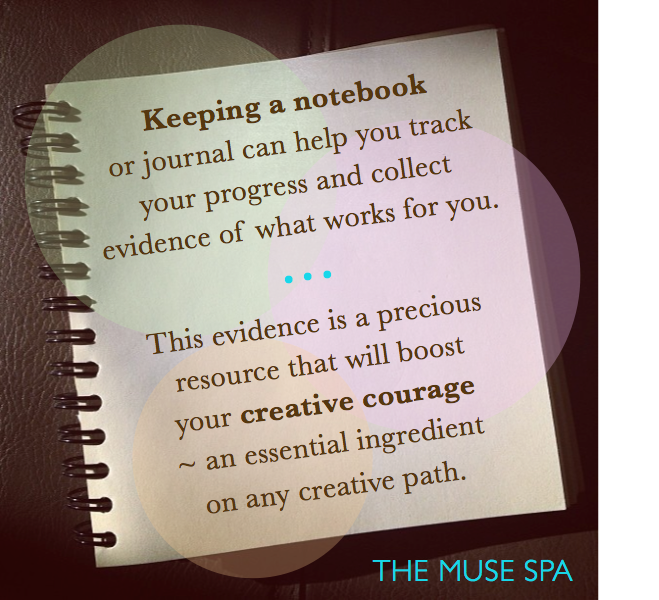 I wonder if I should create a Muse Spa range of waterproof notebooks….? And the more we seek inspiration and trust it, the more readily we find it. Try this: ask for inspiration on that tricky challenge your facing. Then let go of the need to have an answer. 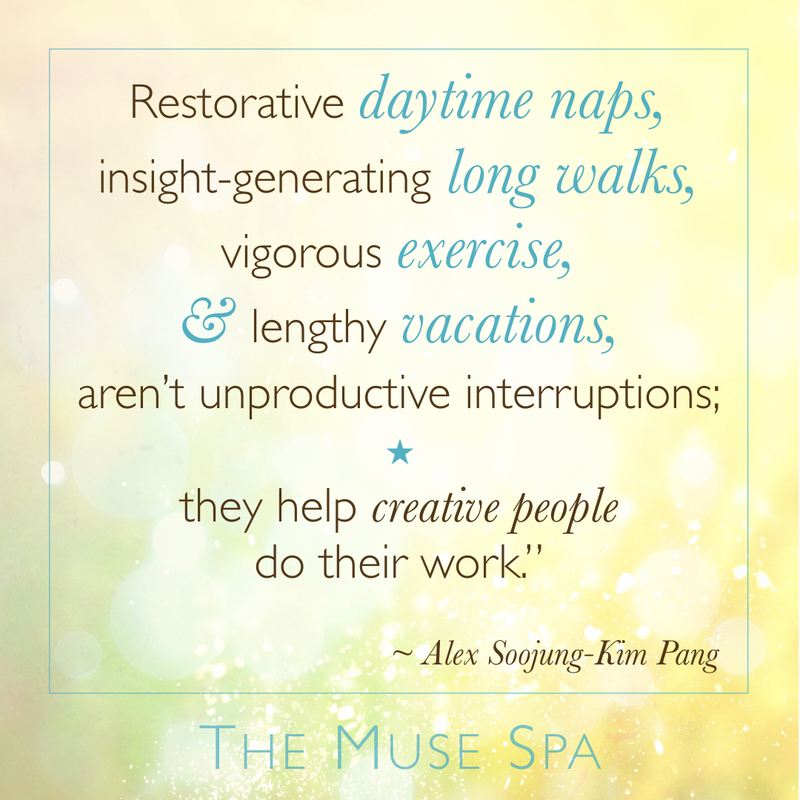 I love the philosophy of Alex Soojung-Kim Pang’s new book: Rest. He argues that we can actually be MORE creative + productive + successful by working LESS. There are caveats though: we need to spend our non-work time doing restorative, nurturing and inspiring activities. Book review coming soon with more! 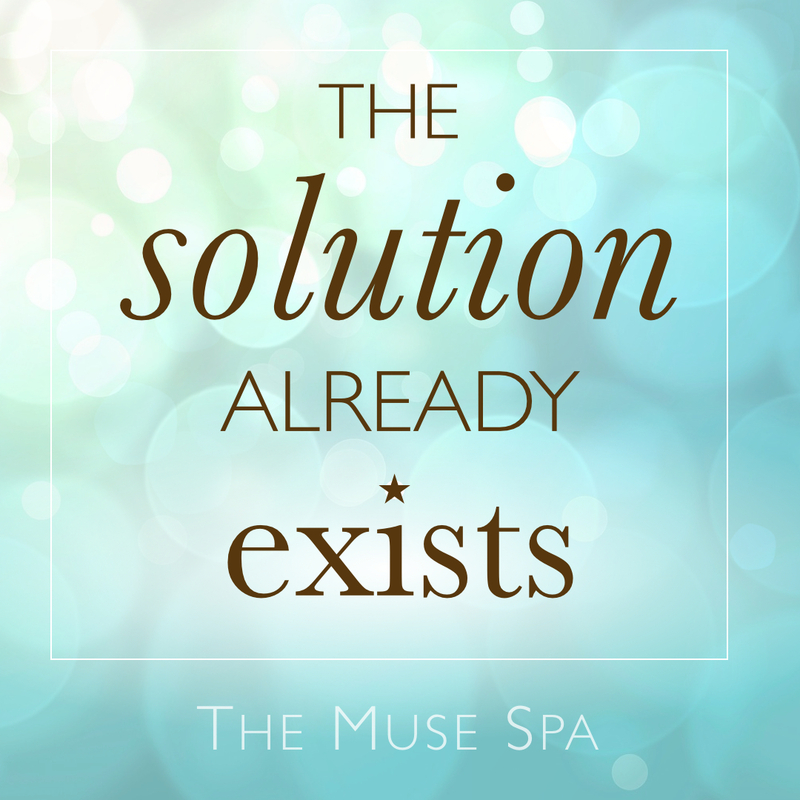 This is the Big Why behind The Muse Spa. 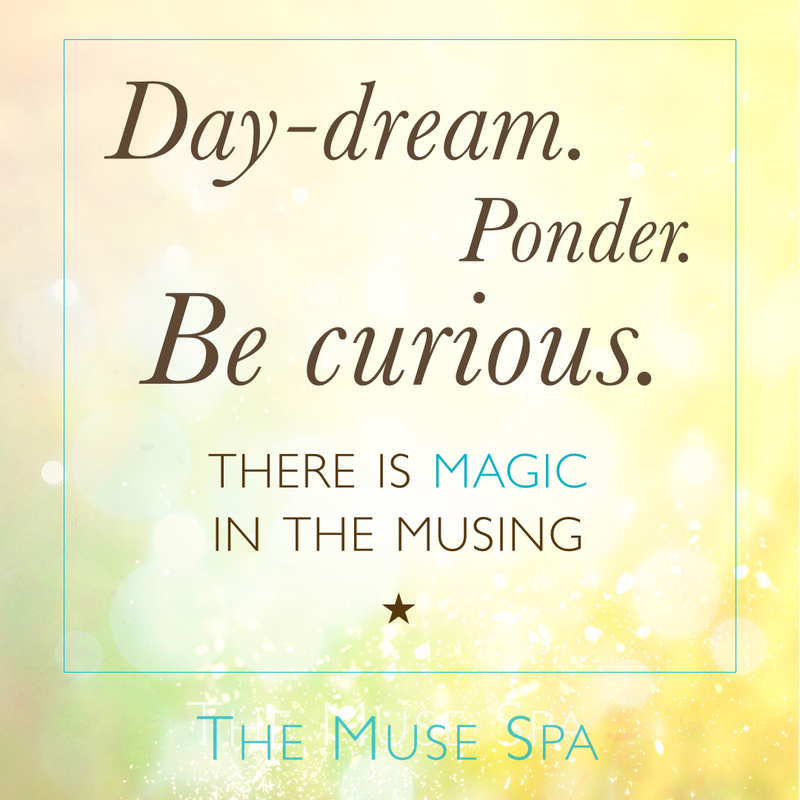 But life becomes SO magical when you are tuned in & connected to the source of your inspiration – what I call; the muse. And she can help with all aspects of life – she’s particularly useful with cooking & parenting! 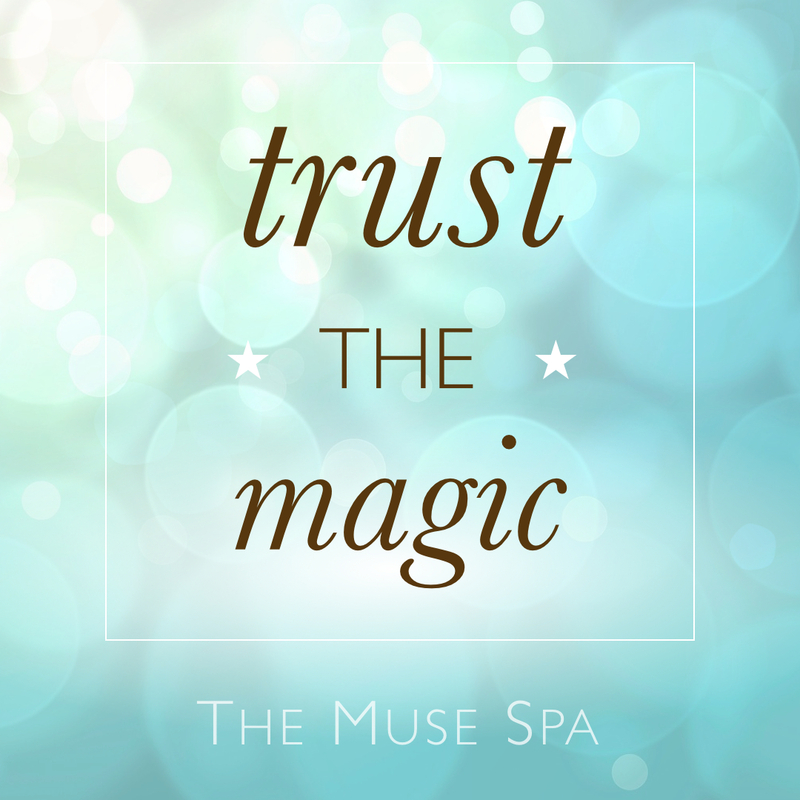 And the best way I know to unleash this magical superpower is… treat mind, body & spirit to a healthy dose of TLC. Hourly, if you can manage it! Joy – one of my favourite topics. ? I sometimes think joy could be the answer to many (most? all?) of life’s challenges. Productivity is one. Have you ever noticed how much more effective and productive you are when you’re enjoying your work? It flows. It feels effortless. There’s little or no resistance or struggle. 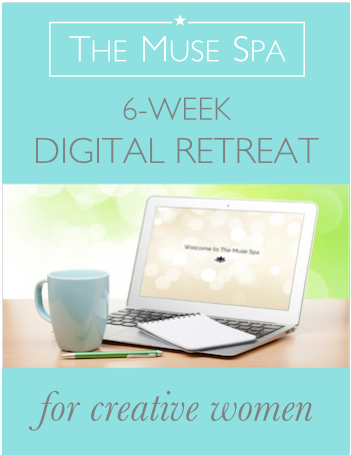 And it’s a great tool to help you along the bumpy creative path. ? 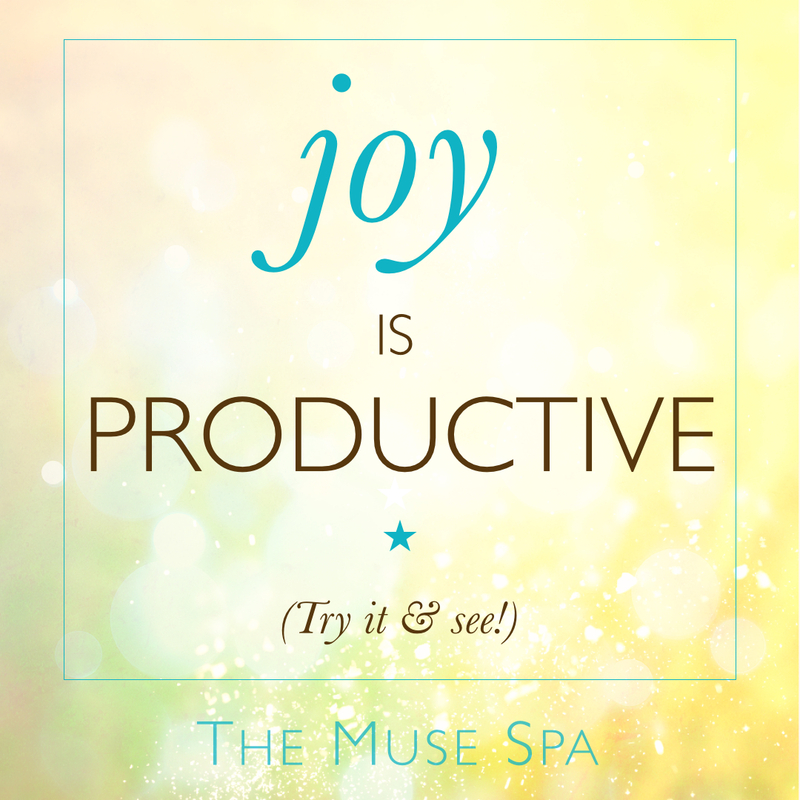 So where can you harness the power of joy in your work today? Keep looking, you’ll find it. And when you do – enjoy! ? We are all creative. (Life is a creative process!) We all have unique creative gifts – gifts that the world needs us to discover and express. ? 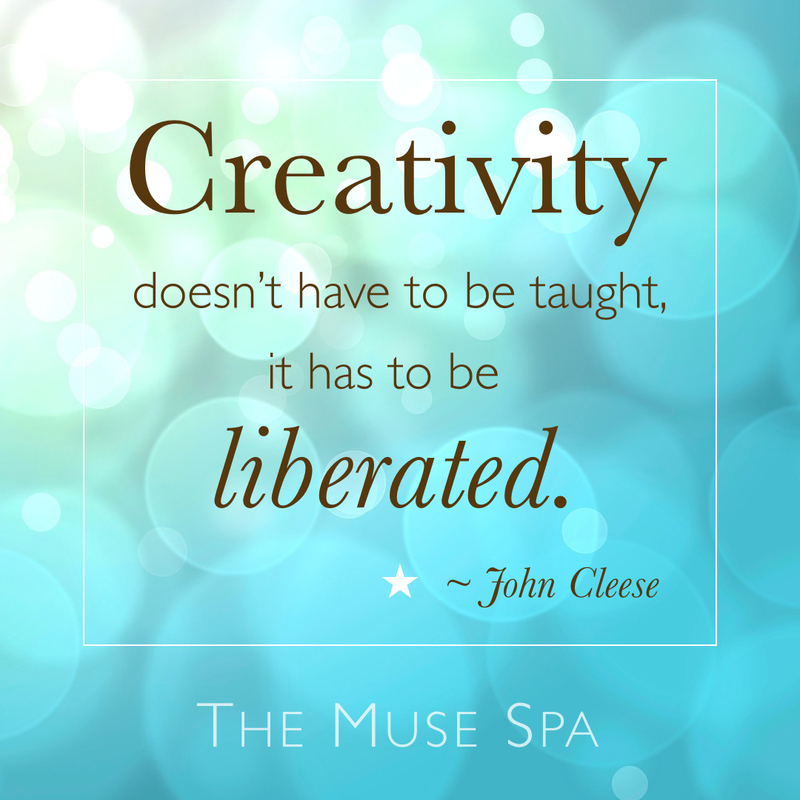 And I agree with Mr Cleese – creativity IS within us already. It’s not a skill – it’s an ever-ready force that is available for us to rediscover at all times. But what we can learn are simple ways to tap into this powerful force. We can find ways to unleash it in our lives in a way that supports us. 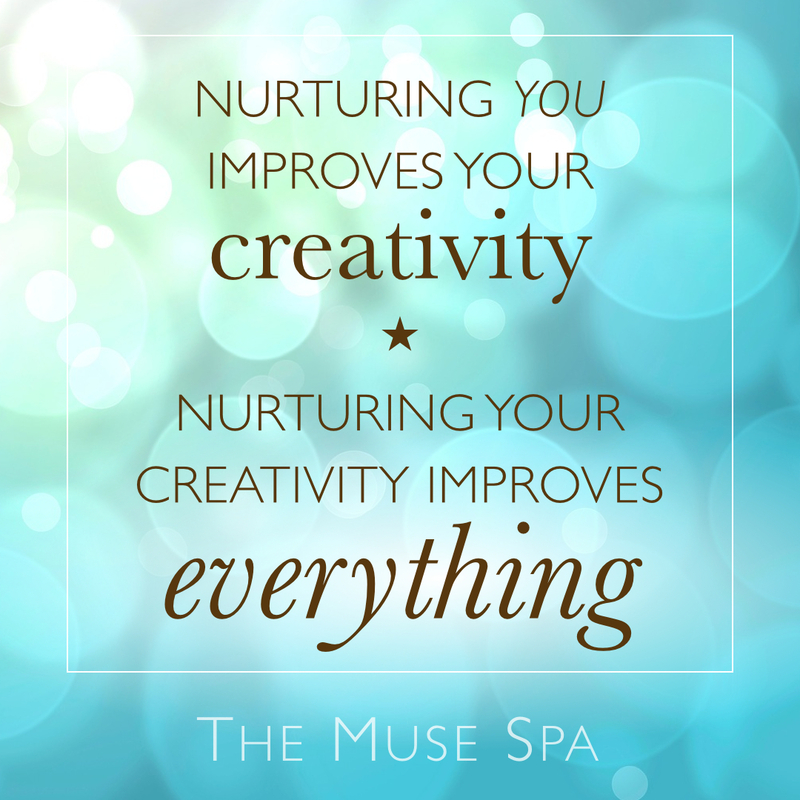 The Muse Spa is all about these simple tweaks – small but powerful steps we can easily take to liberate our INNATE creative genius. For all the poets, writers, artists, musicians, designers, filmmakers, songwriters, architects, photographers, entrepreneurs – the brave-hearted creatives of the world…. ??????✏️?? If creativity is in you (and you know it is!!) – EVERYTHING is so much better when you express it. Your creative spark wants to shine in the world. ✨?✨ It’s why you’re here. And we need your unique and beautiful brilliance. ??? 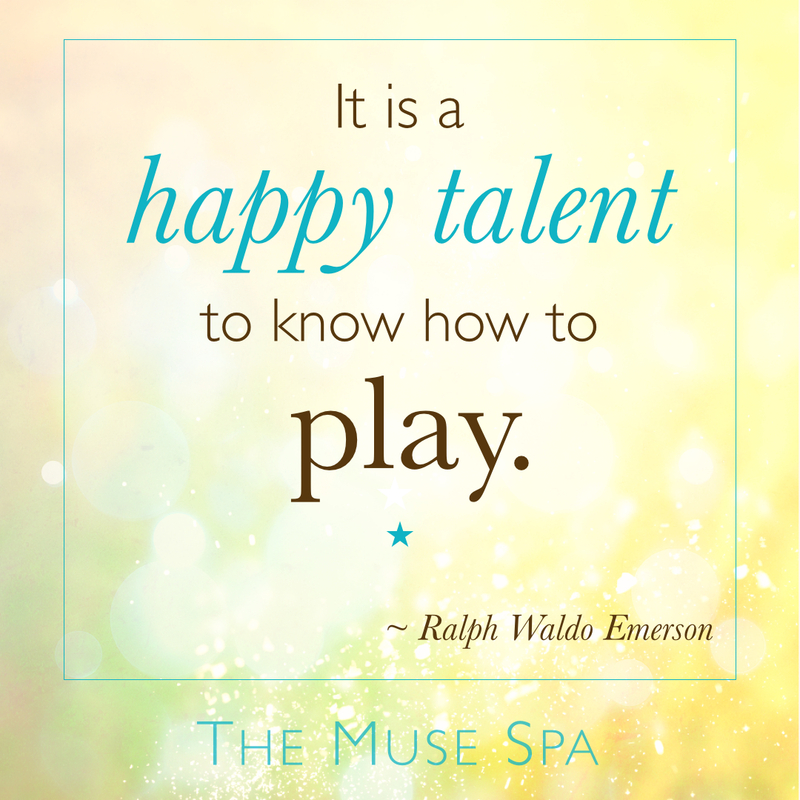 We’re waiting to enjoy your inspired creations. So here’s to a new intention to express your creative magic. The act of celebrating is a powerful psychological anchor that leads to more successes + reasons to celebrate. 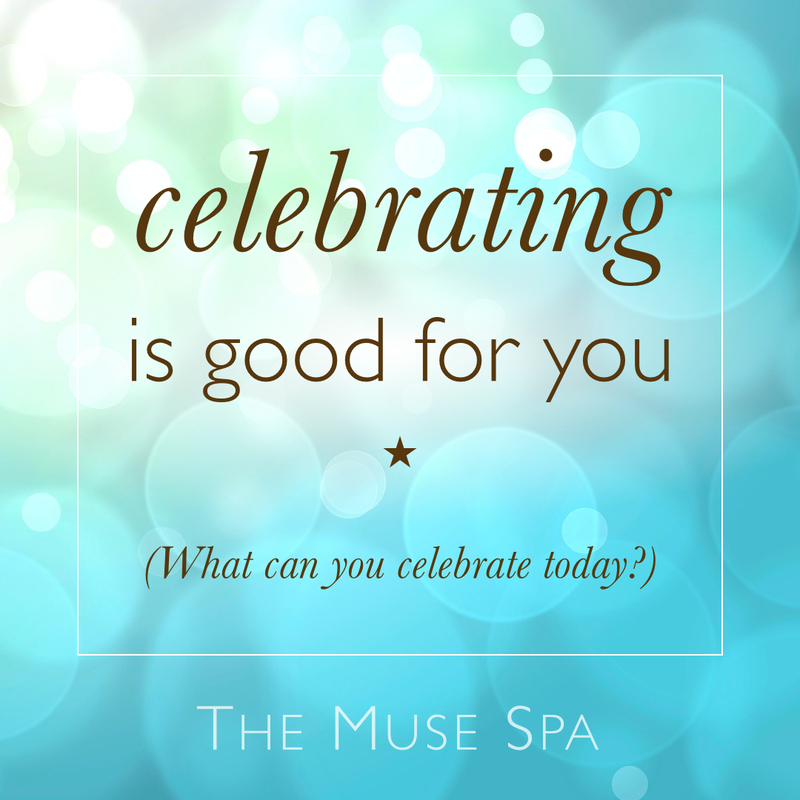 So celebrating is good for your self-image, self-esteem + mindset. 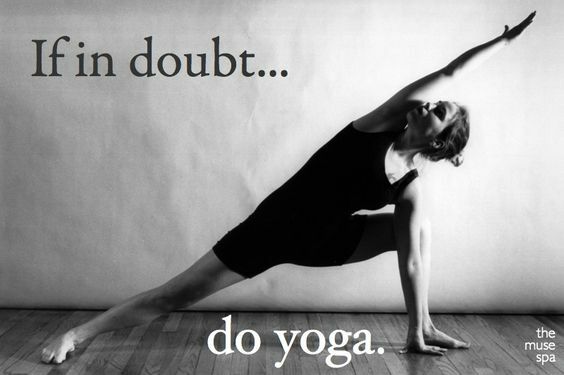 But it’s also good for your physical health. 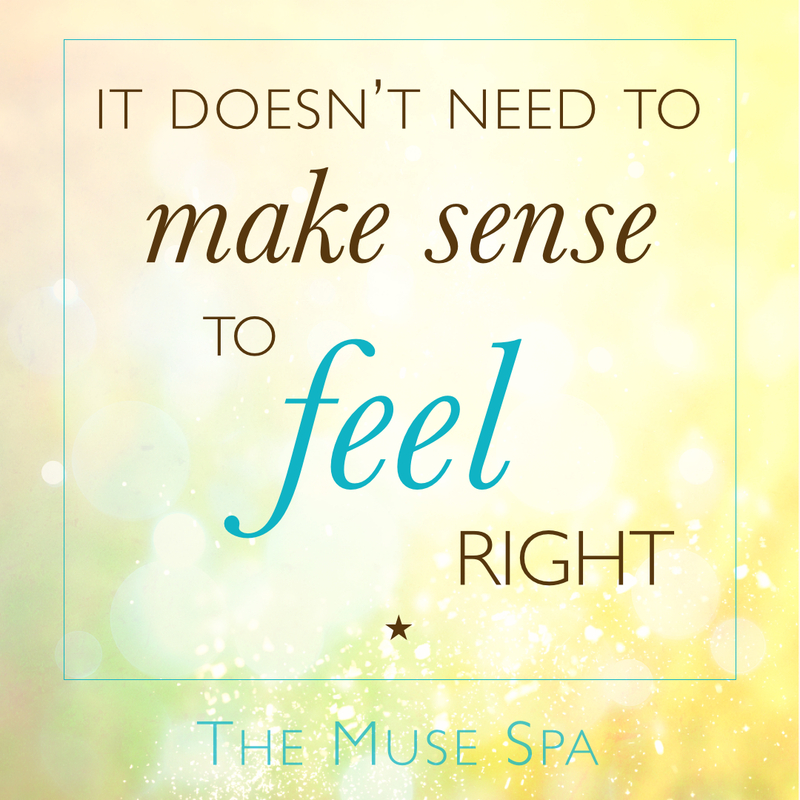 Joyous, happy emotions have been proven to aid healing + boost immunity. ? Plus, celebrating is a powerful focus of appreciation + gratitude, which we all know is good for us is so many ways. So, indulge in much merry celebration whenever you can! But don’t wait for just the big occasions like birthdays and Christmas – this is a practice with year-round goodness. So can you adopt a daily habit of finding things to celebrate? ? Playfulness is such an asset in the creative process. 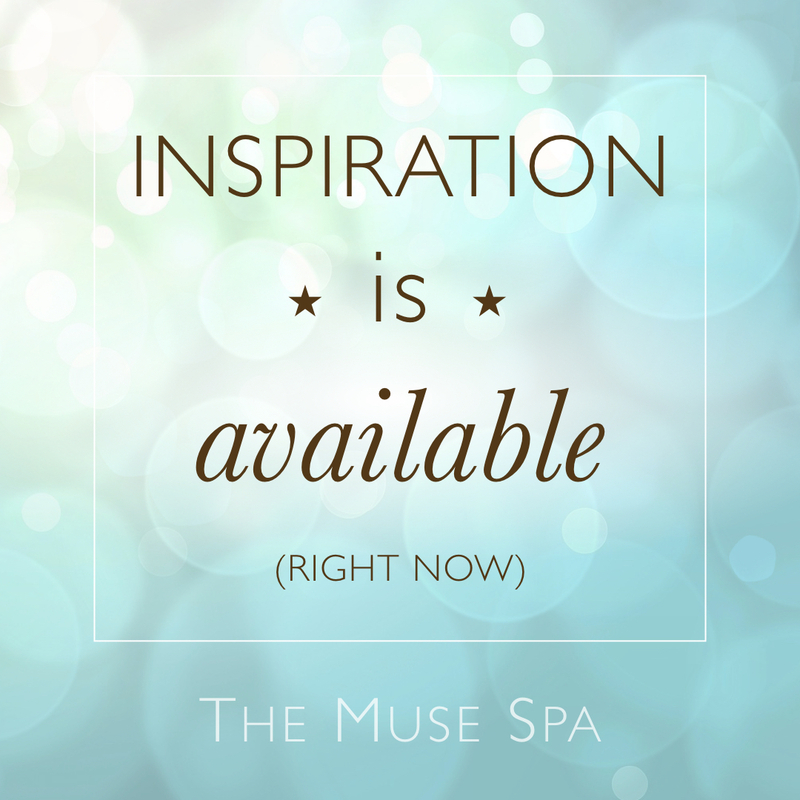 Your muse loves the light and breezy version of you – she keeps her distance from heaviness and glum seriousness. So how can you incorporate play into your creative process? And if you can’t think of anything – just play with the idea… ? 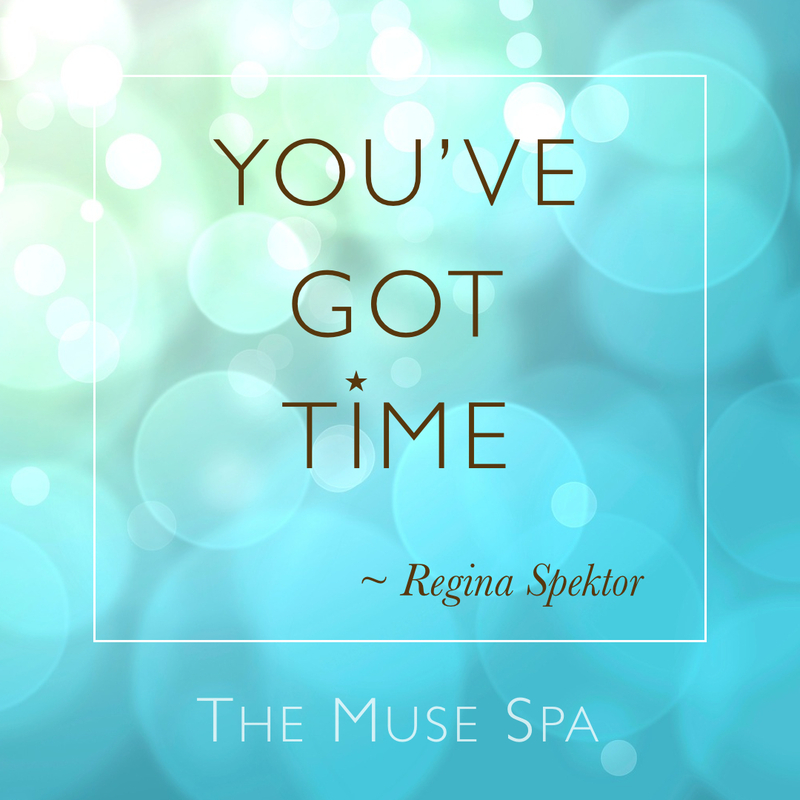 “Not enough time” is one of the main reasons my clients give me for not following their creative dreams. 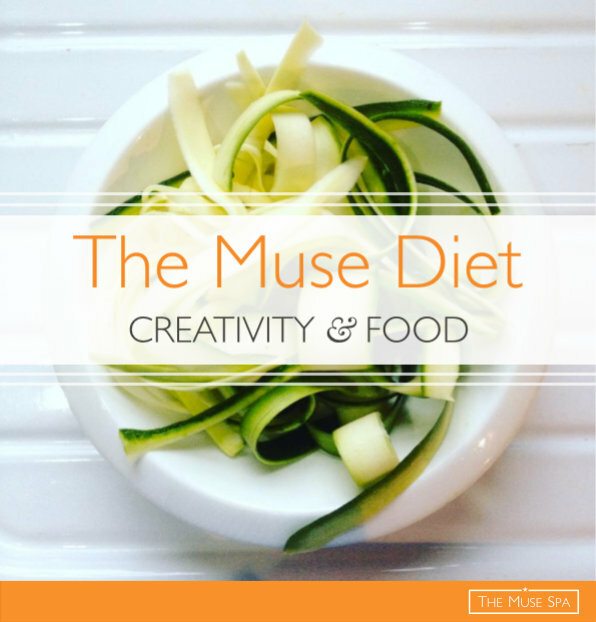 We tackle the issue of time within The Muse Spa, but I’ve also created the material so that increased free time for creativity is a happy by-product of most of the modules. There’s a theory that the people we admire are expressing a gift or talent that is dormant within us. I love this idea. ? It’s so inspiring to think that our heroes are just further along a path that we have the potential to follow. ? And for bonus points – WHY do you admire them? 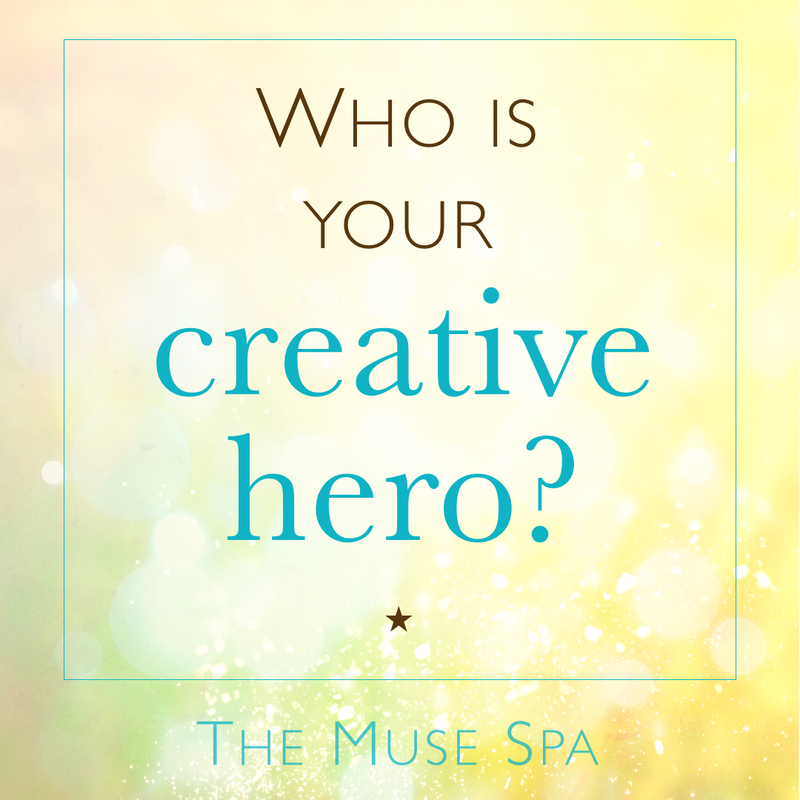 Because the answer to that question could be a clue to your creative destiny…. 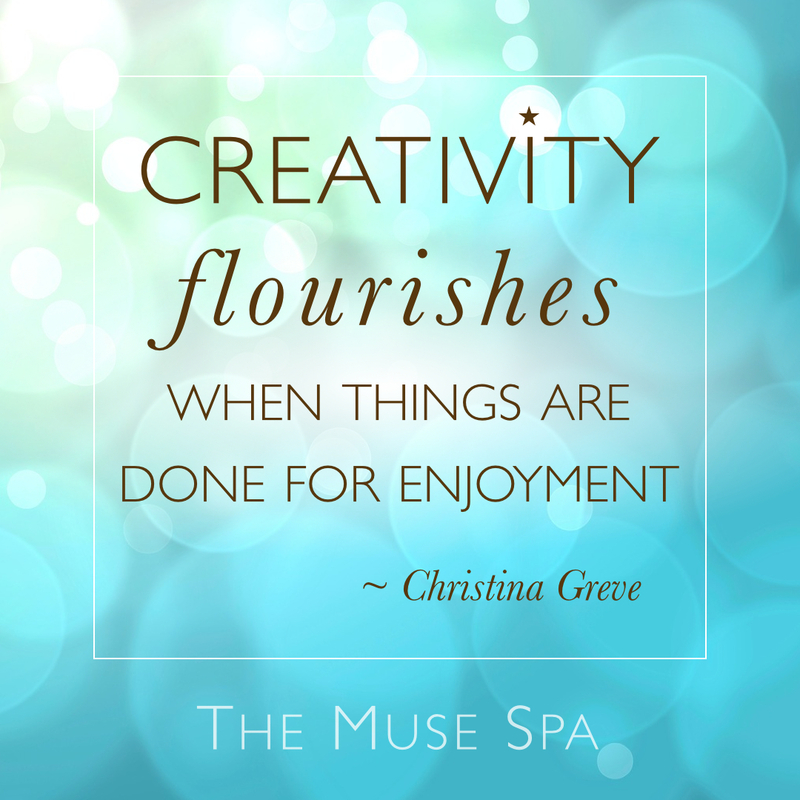 Joyful wisdom from one of my creative heroines (and fellow introvert ) – the beautiful & inspiring @christinagreve. ? 6 steps to a more creative and inspired You. Your creativity comes from YOU! 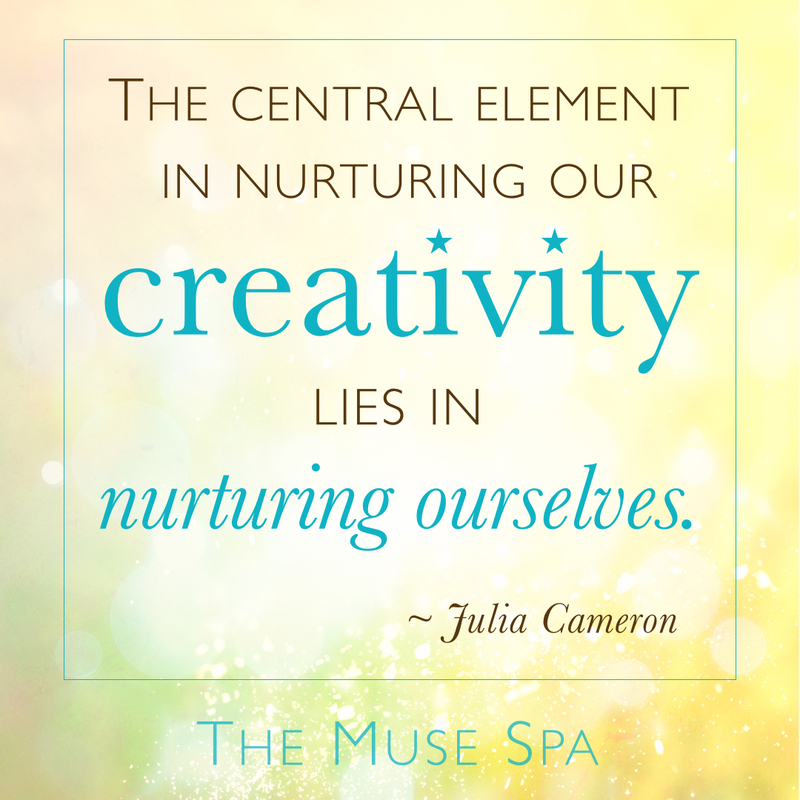 Or at least, it comes through you – you are the creative centre, you are your most valuable creative asset. So it makes sense to take care of your assets; your health + vitality, your self-esteem + sense of self, your wellbeing + inner calm. 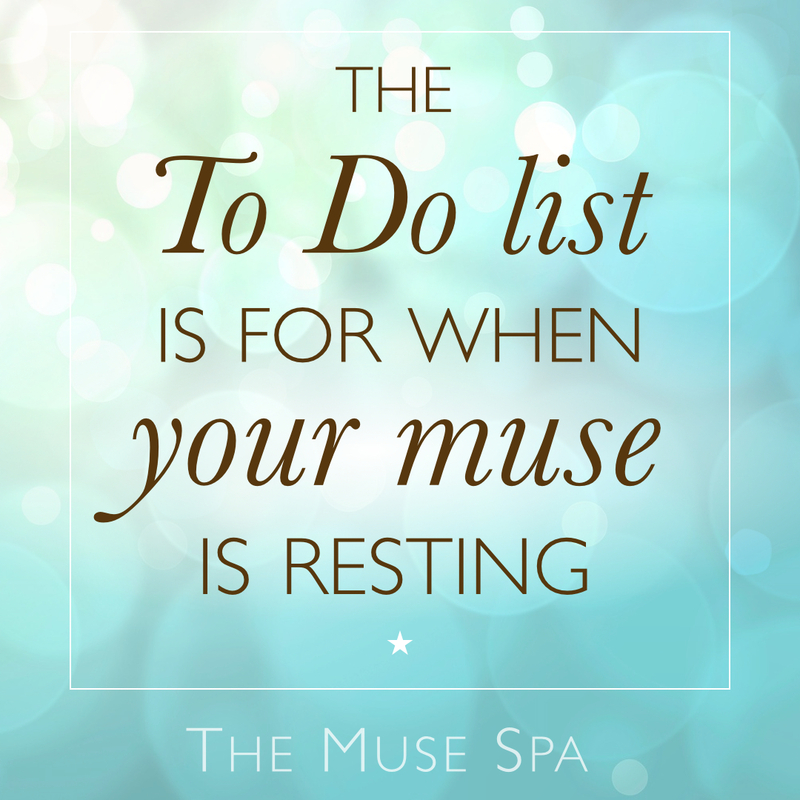 I created The Muse Spa as a tool for creatives to focus on this vital self care work – because to create your best work, you need to nurture your best self. There’s much more about this idea here. But my favourite recommendation to all creatives is this; look after yourself. (Because creative magic happens when you do.) ? The next time you’re free; take a slow, deep breath, close your eyes, and tune in for guidance on what to do next. 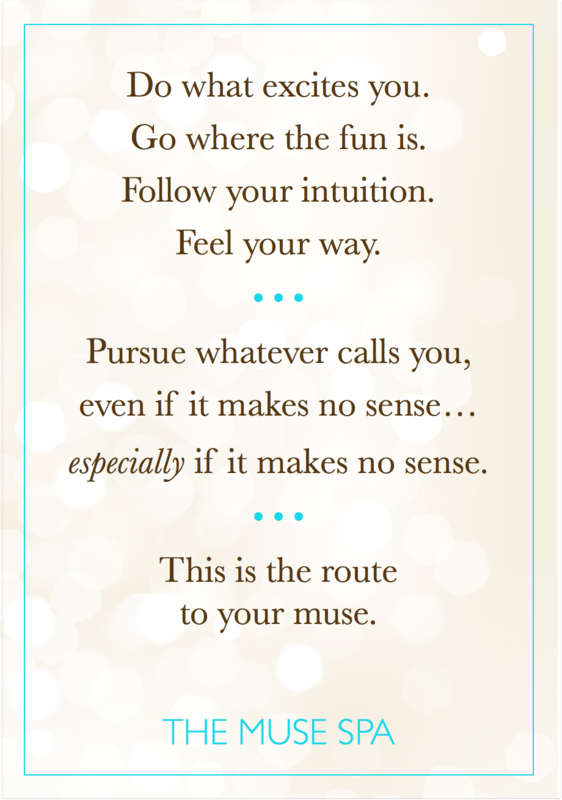 See what feels inspired, exciting, fun or interesting – then do that. 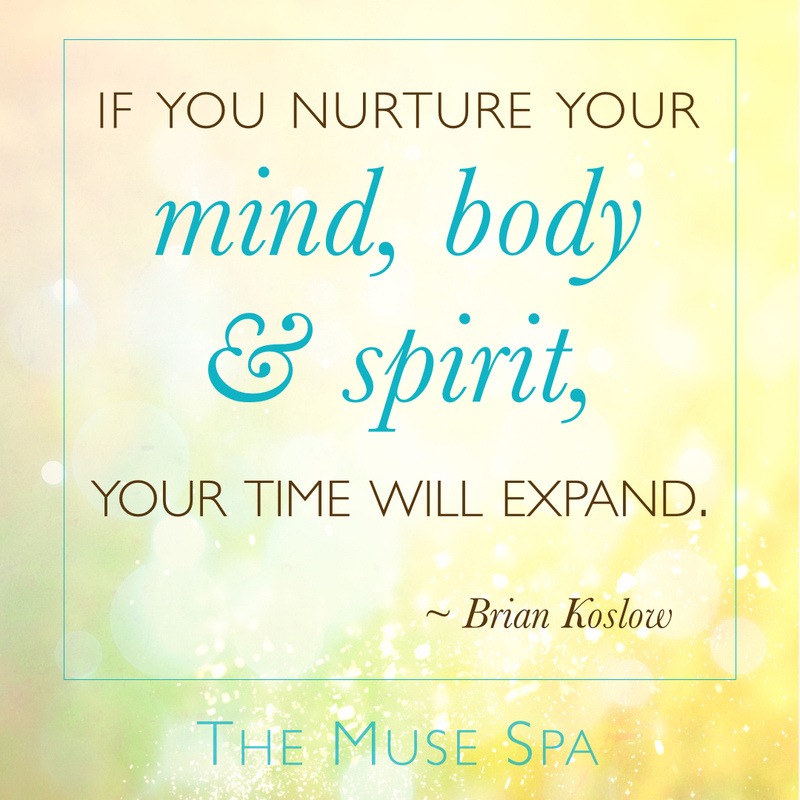 It’s amazing how time ‘magically’ opens up when you tune into YOU and the needs of body, mind + spirit. 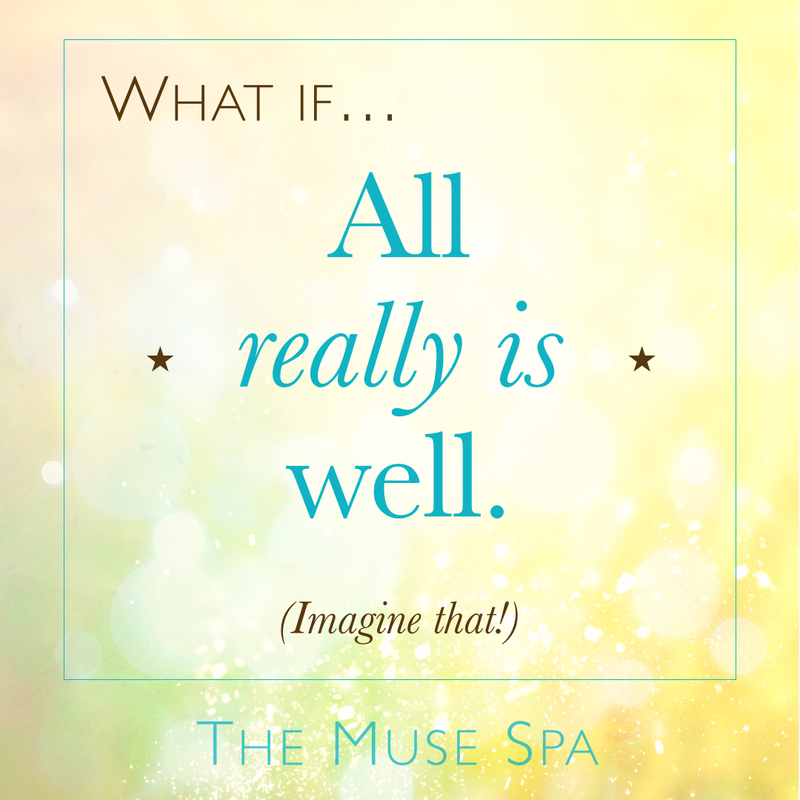 What if All really is Well? 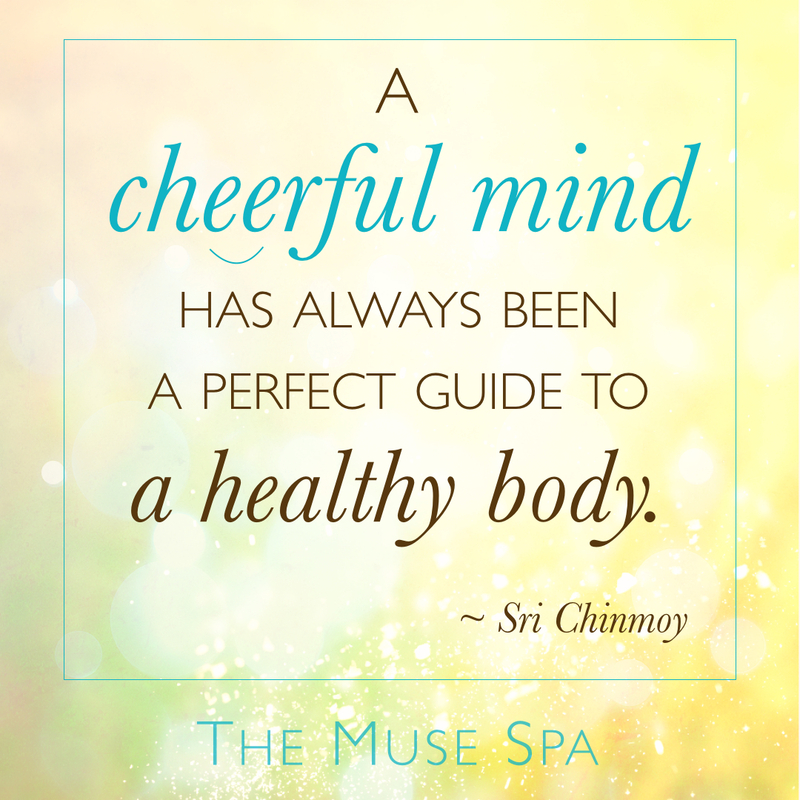 Cheerfulness is SO good for your health! 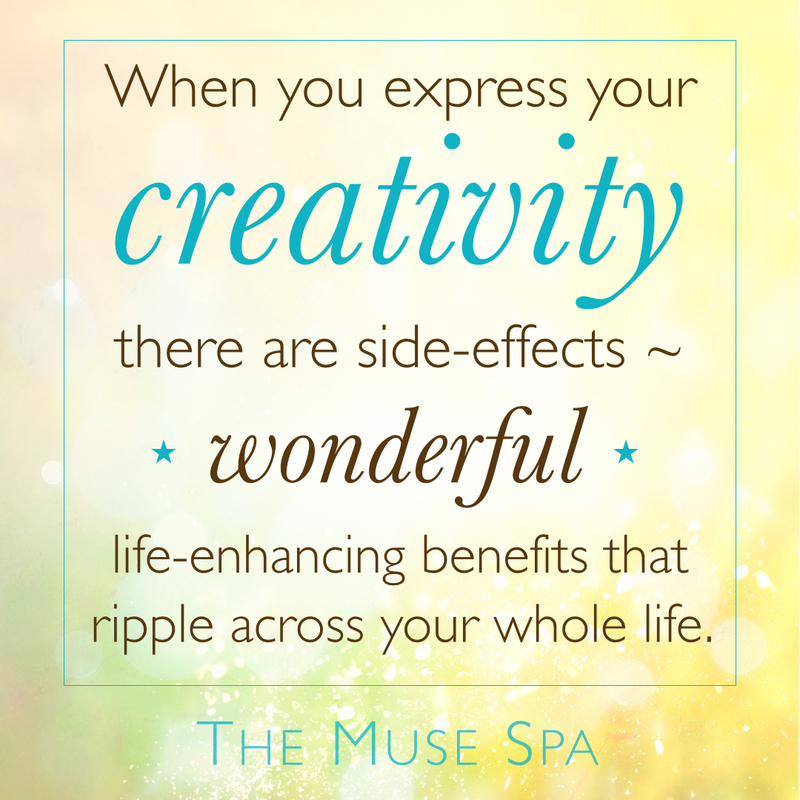 Which is why joyful creativity is a powerful route to wellness. Don’t know which advice to follow? 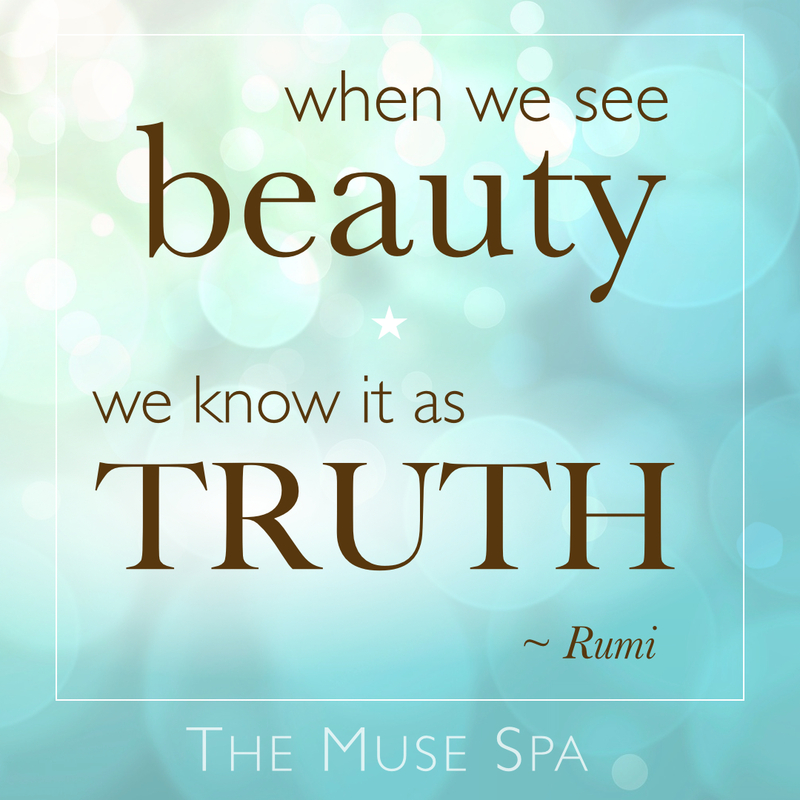 It can be REALLY difficult to trust Heart – we’re such logic-lovers! But Heart speaks the language of your muse – who can see the bigger picture and has scant regard for logic. So if you can experiment with sometimes following feelings rather than sense, you’ll begin to connect more strongly with your muse. 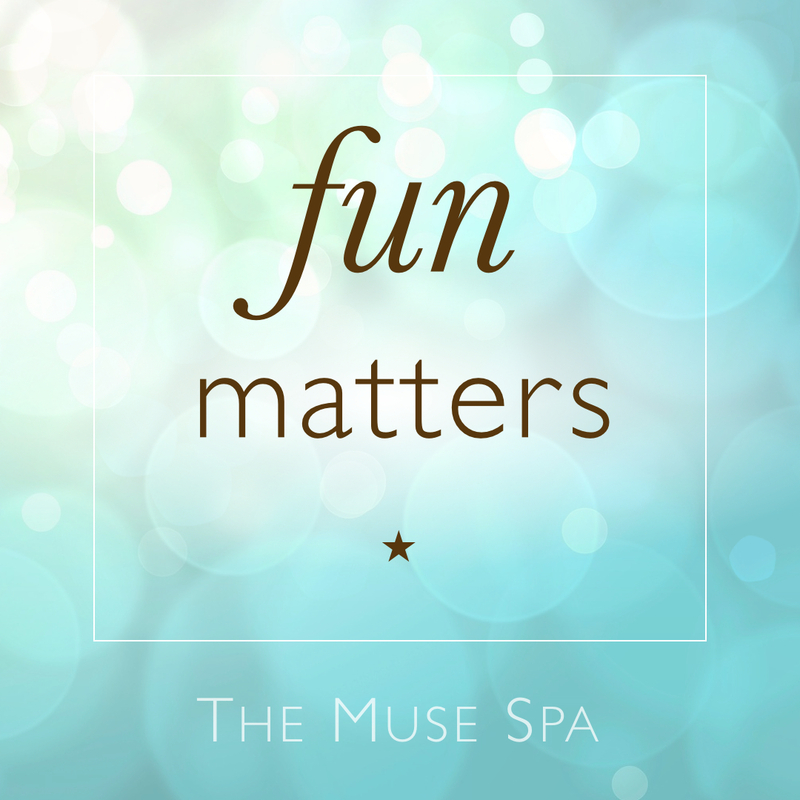 Many people think fun is trivial or childish, but it can be highly magnetic to your marvellous muse. What can you do today – purely for the fun of it? It’s not wasted time – it’s highly creative, and it can make you even more productive and inspired. It’s true… that tricky challenge that’s got you stumped, it will get resolved one way or another. They always do. And when the solution appears, you’ll wonder why you didn’t think of it before. Because it was there all along, just waiting for you to relax enough to allow it to bubble up to your awareness. 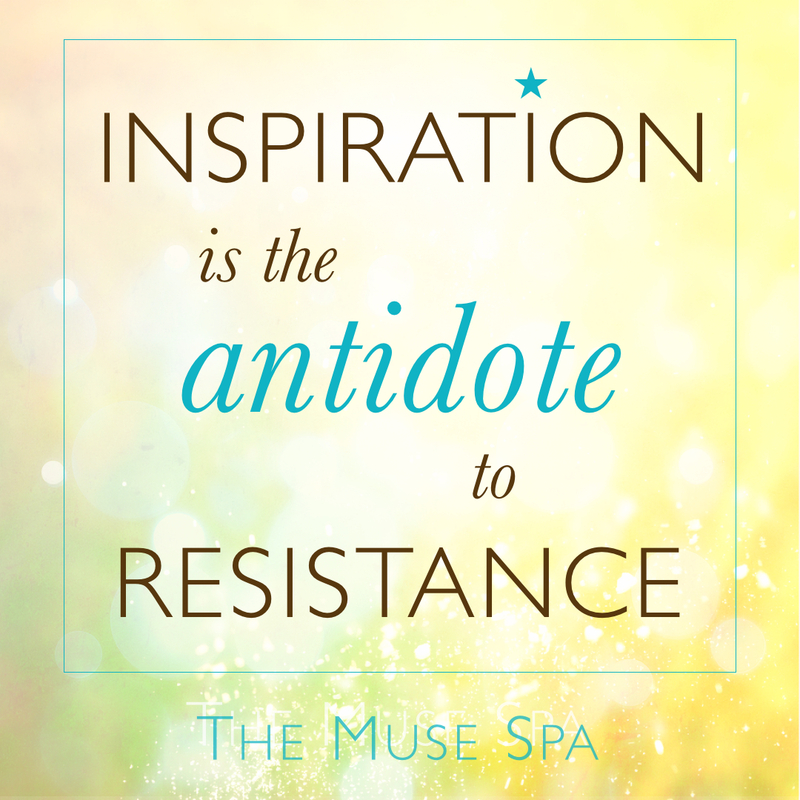 Inspiration IS the antidote to resistance. 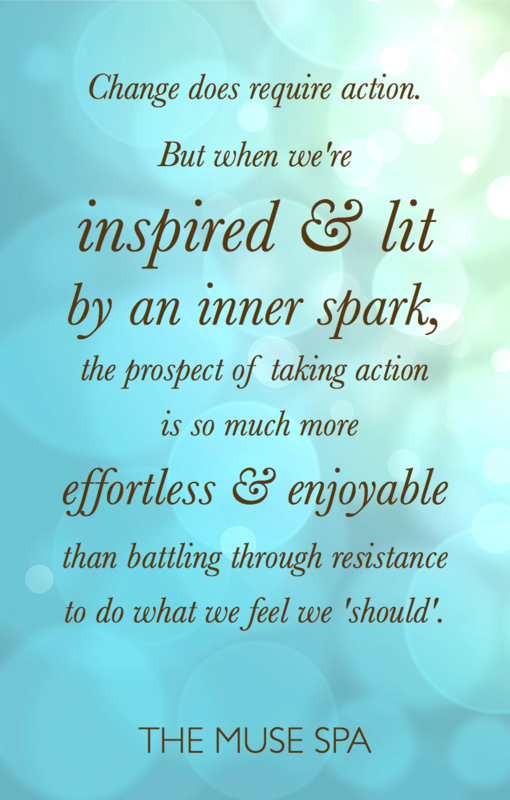 When we’re inspired and lit by an inner spark, taking action is so much more effortless than battling through resistance to do what we feel we ‘should’. We are holistic brings, so when we express our creativity, there are side-effects – wonderful life-enhancing, health-enhancing positive changes that ripple across every other aspect of our life. We kick-start a fabulous upward spiral of lovely benefits that make life feel more magical, blessed and in the flow. 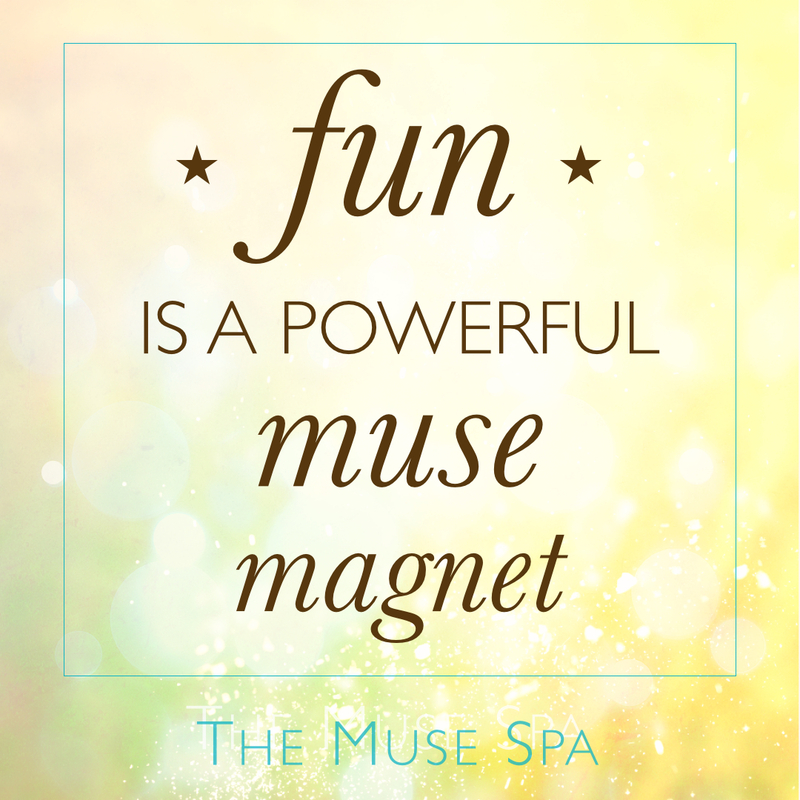 Fun is a powerful muse magnet.